A liberal mayor in a Polish city has died after being stabbed by a former convict during one of Poland’s biggest annual charity events. Poland’s Health Minister, Lukasz Szumowski, told reporters “we couldn’t win” after five hours of surgery on Pawel Adamowicz could not revive him. Polish officials said the day of Adamowicz’s funeral would be a day of national mourning. The UNHCR said it was deeply shocked and saddened to hear that he had died, citing that he was a “deeply courageous, moral leader who showed the way in helping refugees and migrants to integrate”. 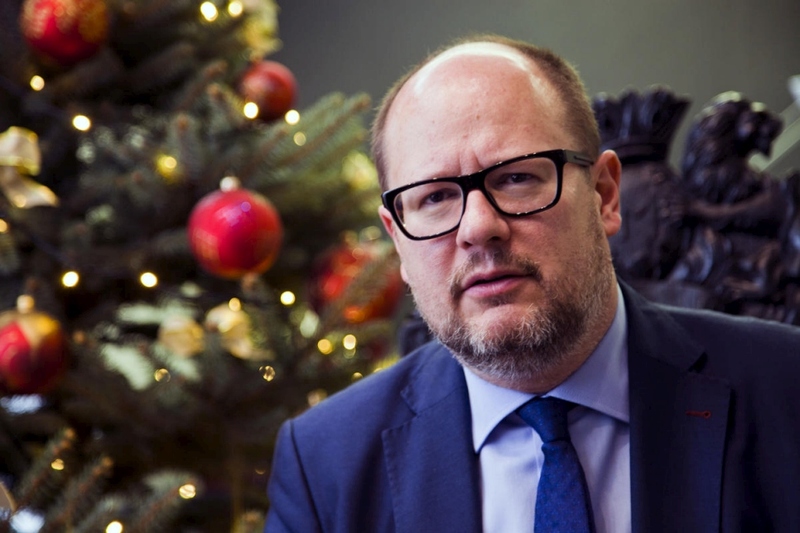 Adamowicz was attacked while he was attending the annual Great Orchestra of Christmas Charity, which raises money for medical equipment in hospitals. The head of the charity resigned soon after Adamowicz’s death was announced. Television footage of the attack showed a man screaming “Adamowicz is dead!” as he rushed the stage and stabbed the mayor, who crumpled to the floor. Speaking on the stage before he was arrested, the attacker accused the mayor’s former party of putting him in prison, where he said he was tortured. The attacker has been identified by Polish authorities as 27-year-old Stefan, who was released last month from prison where he had been serving 5-1/2 years for a 2014 conviction for attempted bank robbery. His full name has so far been withheld. The event at which Adamowicz was murdered has raised more than a billion zlotys for charity over 27 years but has been criticised by Poland’s conservative ruling Law and Justice (PiS) party because of the liberal philosophy it espouses. Poland’s President Andrzej Duda, a PiS ally, urged unity in the face of violence, saying many Poles were united despite their political differences by “their desire to do good”. PiS Prime Minister Mateusz Morawiecki and Interior Minister Joachim Brudzinski and opposition politicians condemned the stabbing. Adamowicz was an outspoken opponent of PiS. He stood out for his initiatives to encourage migrants to seek refuge in the northern Polish city, and for his support of a protest campaign to defend the rule of law in Poland against what activists consider efforts by the PiS to increase its control over the judiciary and other bodies.